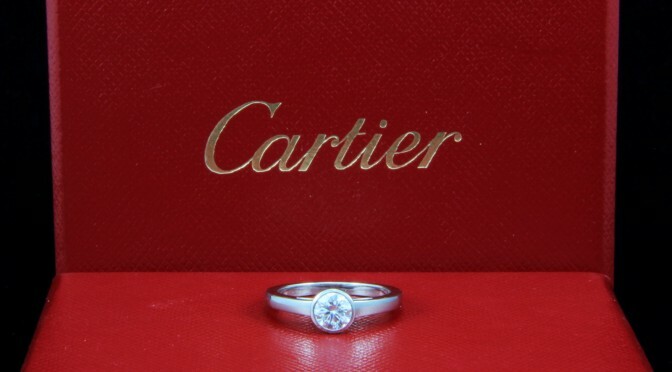 For sale is a beautiful platinum and diamond engagement ring from Cartier. The diamond weight is 0.52 carats, color is G, and clarity is VVS2, as can be seen in its GIA paperwork and engraved setting. 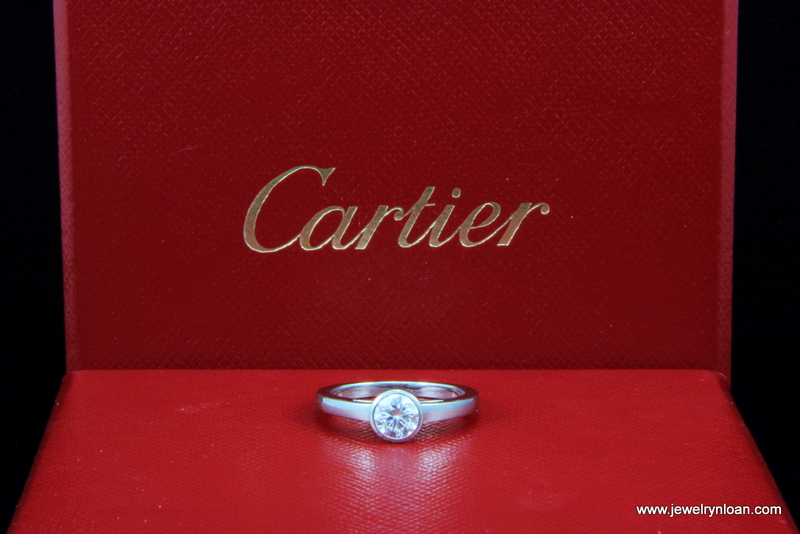 The ring comes with its original Cartier certificate, GIA diamond report, and Cartier box. Don’t miss your chance to buy a diamond ring like this at a price well below retail. Jewelry-N-Loan is one of the most trusted names in the business for quality pre-owned diamond rings, jewelry and luxury watches. We’ve been in the business for decades and our reputation is flawless for quality, care and service. Give us a call today at 949-645-0488 or come into our shop at 1872 Newport Blvd. in Costa Mesa to take a look at this beautiful Cartier Diamond Ring.